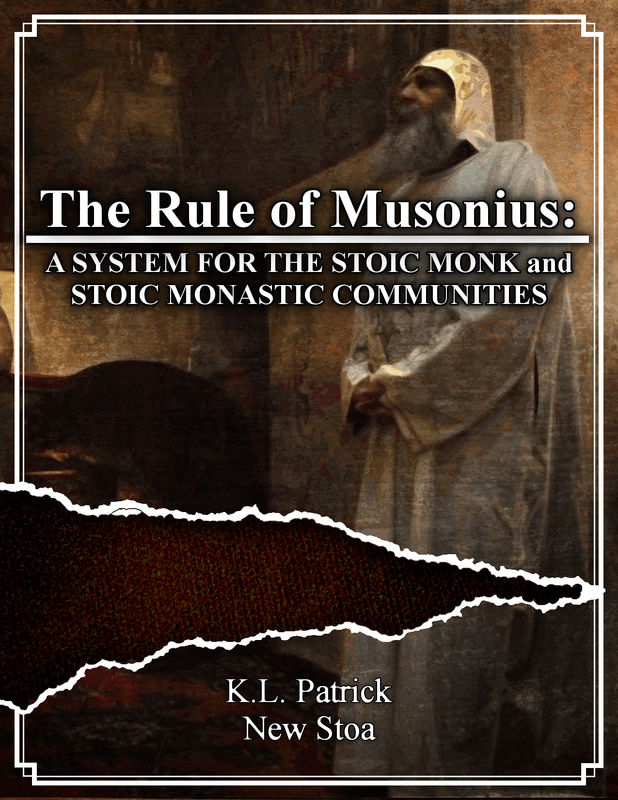 I am currently working on writing The Rule of Musonius, which is a prescriptive Rule based on the Lectures and Fragments of Musonius Rufus. It is aimed at restoring a part of Stoicism which has laid dormant for close to 2,000 years. In many ways, the Christian tradition preserved a goodly portion of it, but it has not been a part of the philosophical practice since theology and religion took “philosophy as a way of life” and left the philosophers with only academics. The Stoic monasterium and monarchi were folks who went into retreat, often seclusion, for philosophical purposes. It is the foundation of western monasticism, and many authors credit the Stoics with the idea and the vocabulary( including words like monastery, monk, and Anchorite) which the west still has today. The Rule of Musonius will take the prescription laid out for his students and expand upon them to produce a program and system of self-regulation for philosophical purposes. It will likely be called either austerity or asceticism in some way. At this early time, the writings will be geared towards solitary practitioners, but eventually a re-founding of the Stoic Monasterium would certainly be a thing to see. Since that is the case, it is inherently self-regulatory, but at some point the monasterium would be run in some fashion, which the Rule will lay out. These sorts of entries necessarily will not be based in the literature, and will be in separate chapters from the canon prescriptions. Before release of the eBook, I will be doing a series of experiments (currently with an N of 1, unless others are interested), and reporting qualitative (maybe subjective) findings. Once that’s complete, and the writing, the book will be released for popular (read: niche) consumption. ← On the Stoic acceptance of Fate. Sounds really interesting. Any hints of when the ebook might be published? I’ll keep you updated, however. And I will release the short version of the Seven Precepts which define the Rule at some point before the whole book is released.